Keith is a well-known architect spanning 35 years, including the Territory. It is no secret that Keith has a passion for tropical design. He kick-started his career from his student days at the University of Technology, Sydney, where ‘back in the day’ he studied full time, worked full time and paid his own way! This included paying ‘board’ ti his parents for short stays in-between ‘flatting’ with his architectural friends. By taking couple of years off to be a labourer on site during this time, this cemented the whole process of the project, from design to construction. This background set strong foundation for keith’s buildings to be built on time and within budget. 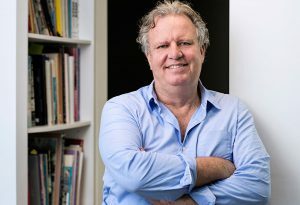 Keith’s previous experience as Owner/Director, including senior management roles for some of Australia’s most prominent architectural design consultancies is unique. The locals here refer to him as : Local boy, National experience! His intimate knowledge of mastering real design needs and developing projects in this region guarantees that the work and knowledge procured here, stays here in the Territory. Keith’s award winning building reflect design that is strong in innovation with conceptual design. Initially, Keith uses freehand for sketches of a design approach. He is backed up with talented team of architects, designers and project managers that uses the latest 3D-technology to reflect precise sketches of a preferred design. The design is further developed by selecting sustainable materials, integrating systems, energy saving technology, low emission living and passive design principles (shading, landscaping, opening a window and letting the building do what it has to do because it has been designed that way)! Savage Architecture is current architectural practice in Darwin, and it is a fitting tribute to the creativity of a very special architect whose work here in the Territory is inspirational for generations to come. Specialist facility services; Residential (individual – multi-residential), Aged Care, Health, Commercial, Industrial & Sport related projects. Savage Architecture recognise that the development of sustainable & environmentally designed project is not only good for our planet but also immensely sensible economically for our clients. We recognise that design for the Tropics requires a different set of Architectural design & documentation skill sets when designing projects based on the design of projects in the Eastern or Southern states of Australia. Menzies Building at RDH & CDU – Designed as a 5 Star Green Star yet not accredited. ACIKE Building CDU – 4 Star Green Star Design only. Flinders Medical School Buildings at RDH & CDU – Designed as a 5 Star Green Star yet not accredited. Jacana House Darwin – 5 Star Green Star Design & as built rating. “This is the only designed & as built 5 Star Green Star building built in the NT”. The approach to the design of projects has been undertaken on the basis of actual experience of living and working in this region & not just based on trying to achieve a score card. This approach to sustainability occurs with the design & development of all projects large or small whether a star rating is seeking to be met. Savage Architecture has an ongoing research and education approach in this area of expertise while Keith Savage also heads up ESD committees for both the NT property council & NT Institute of Architects. The ACIKE building recently was rated by the Climate Council of Australia in the nations Top 8 Green Buildings for its smart design and latest technology (http://www.climatecouncil.org.au). Savage Architecture can undertake interior design commissions in their own right or will partner with specialist Interior Design practises dependent on the nature of the project type. Our office is currently the only Darwin based architectural practice with a University qualified Interior Designer. Savage Architecture believe unless the projects are economically viable, then we are not working in the best interests of our clients. Understanding & ensuring the economic viability of projects is critical to the design process. Keith Savage has a degree from the University of Technology in Urban estate management with credits & has also gained an intimate experience with the development of his own projects which provide valuable experience & understanding with the development of projects to all our clients. Savage Architecture works closely with other professional consultants in particular quantity surveyors, accountants & real estate professionals to ensure the viability of projects are maximised particularly from a development risk perspective. The Savage Architecture Office is structured around the delivery of all projects undertaken by the practice based on a project management approach focussing on time, budget and risk analysis. Staff members have qualifications and registration in Project Management recognised through the Australian Institute of Project Management (AIPM). Director, Keith Savage is a registered Project Manager and a member of the Australian Institute of Project Management (AIPM). The management of all projects are managed through the computer program Team Gantt, with the structure of all management systems within the practice based on the PMBOOK Project Management system. Savage Architecture recognises that many clients wishing to develop & undertake projects in this region have their own consultants usually from Southern Australian states but also maybe from Asia where they want these consultants to undertake the majority of design work on their behalf. The issue with this is even though these consultants may have good working relationships with their clients they invariably do not have a full understanding of undertaking projects in this region of the tropics. Savage Architecture offers assistance to these clients & their associated professionals to assist with undertaking the unique aspects of doing business in this region. Particularly with the ability to provide a local point of contact. Keith understands the local politics & knows the authorities + key players within these bodies so is able to provide this advice to prospective clients & consultants as required. Through his network of contacts through the Institute of Architects, NT Property Council & Chamber of Commerce he has good knowledge & contact with the main players in the marketplace. Savage Architecture has had an ongoing interest with the use of prefabrication & modular design with his Architecture & Approach to undertake projects. This has evolved from the developments of projects in his early years doing work in regions such as Fiji, Papua New Guinea, Ranger Uranium mine & remote areas of NT, Northern Western Australia & Queensland. Recent work has included the development of child care centres in remote regions of the NT. Prefabricated Fire Station Port Headland WA and School buildings across the NT. The understanding of building construction & material technology has been critical to this approach & theories applied with the development of projects which have also included building covenant design. Recently Keith attended the 2016 Prefab AUS conference in Sydney to review the latest trends in prefabricated & Modular Architecture in the World. He is currently developing a low cost housing system which is specifically targeted at projects for this region. Savage Architecture has the capacity & the expertise to undertake projects of any size or capacity. The practice is led by long term resident & award winning Architect Keith Savage. Savage Architecture is able to provide the services indicated due to its resources and practice structure. Located in Darwin but also with it’s national & international network of other professionals that it is able to form teams with. This is particularly applicable of the specialised requirements to cater for the diverse range, size & specialization of projects which need to be developed in this region (the tropics). High Speed ADSL (NBN) connection for high volume internet connection. Totally integrated REVIT (2016) design and documentation including our own in-house procedures & routines. Specialist 3D Modelling, Rendering, Visualized & animation. InDesign, Photoshop, SketchUp, AutoCad, Adobe X Pro. A range of other multimedia equipment including scanners, laser printers & commercial plan printer. The use of office technology allows the full use of BIM for the management of projects within the office. As Savage Architecture is a new Architectural practice, please refer to Keith Savage staff profile for projects that he has been involved with that have achieved awards & recognition. 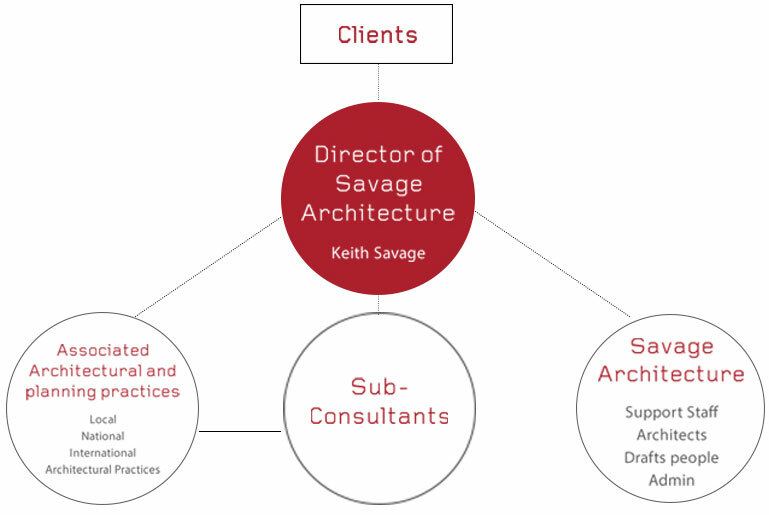 Savage Architecture is owned & managed by Keith Savage. Previous Registration in both NSW & Queensland. When Dipti walked in at our door at Savage Architecture, the plan was ‘to give her a go’ for 3 hours. That 3 hours turned immediately into full-time work! And we all feel, she is here to stay! Dipti Quickly adapted by naturally showing a strong presence in the practice that is young, fresh and creative. With first class Honors in Architecture in her back pocket, ‘tradition meets new cool design.’ Dipti’s competitive edge to all her skills is unique, including IT and development of designs with 3D images. 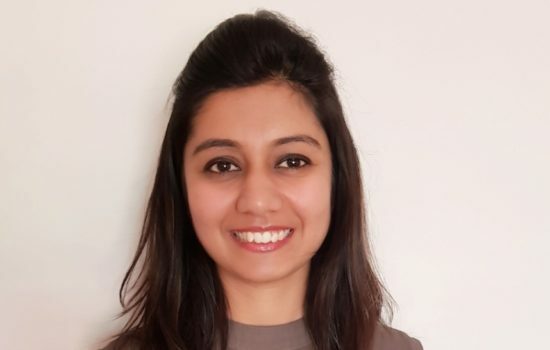 Dipti’s perspective is very much in synchronize with Savage Architecture mission to create sustainable and environmentally sensitive designs. She understands the importance of traditional cooling techniques to tackle India’s scorching temperature – with temperature hitting 50 degrees Celsius – and hopefully the end of the air conditioning – using green solutions to cool buildings. Colour and variety are synonymous with Indian culture, beliefs and way of life – every street, every city and every corner has a story to tell. Dipti believes it’s all about listening. Her 7 years of expertise are residential and commercial projects, multiple housing projects, landscape planning, space planning, project management and interior design, reflect her as a highly organised and creative professional. 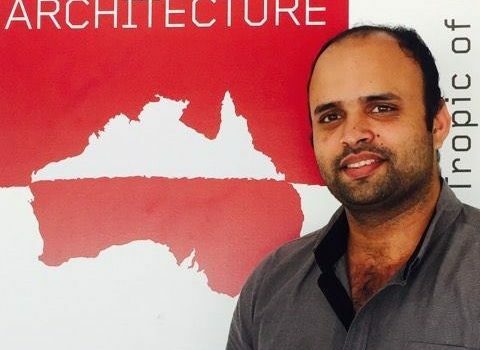 Benson completed a Master Diploma of Interior Design in 2013 and is now undertaking a Bachelor of Design/Architecture at Charles Darwin University. He has received multiple recognition/awards including Winner of the 2015 SuperStudio Competition, Outstanding Academic Achievement at CDU and a Certificate of Excellence at St Francis Institute of Art and Design in 2013. As a student Benson had the opportunity to be a part of the AusIndo 2016 Hands on Architecture workshop held in Jogjakarta alongside other Australian architecture students and reputable Australian Architects. Benson provides architectural drafting support to the team at Savage Architecture whilst gaining practical architectural experience and mentoring from Senior Architect and Director, Keith Savage.